If you're trying to visit 192.168.1.1 in the web browser and are prompted for a username and password, odds are you're trying to log into a Linksys, NETGEAR, or D-Link broadband router. 192.168.1.1 is the private IP address that the router uses on the network. Other devices connect to this address in order to access the internet. If you own a Linksys router, there is a list of default passwords to find the username and password that belong to your specific router. That list shows lots of model numbers that you can use to look up your own router's default login information. If 192.168.1.1 is used to access your NETGEAR router, use a NETGEAR Default Password List instead. D-Link routers can use the 192.168.1.1 address, too. If you have a D-Link router with that address, a different list of D-Link routers can help you find the default username and password combo that goes with it. Do not continue using the factory default login information on your router. Changing the default password on a network router isn't hard, and it'll substantially improve the security of your home network. If 192.168.1.1 is the address to your router but the default password or username does not let you log in, it just means that the default password or username was changed at some point after it was installed. You'll need to reset the router back to factory defaults if you've forgotten the password. Resetting (not rebooting) a router removes any custom settings you've applied to it, which is why resetting will remove the username and password that it was changed to. However, other custom settings are deleted also, including wireless network settings, custom DNS servers, port forwarding options, and the SSID. 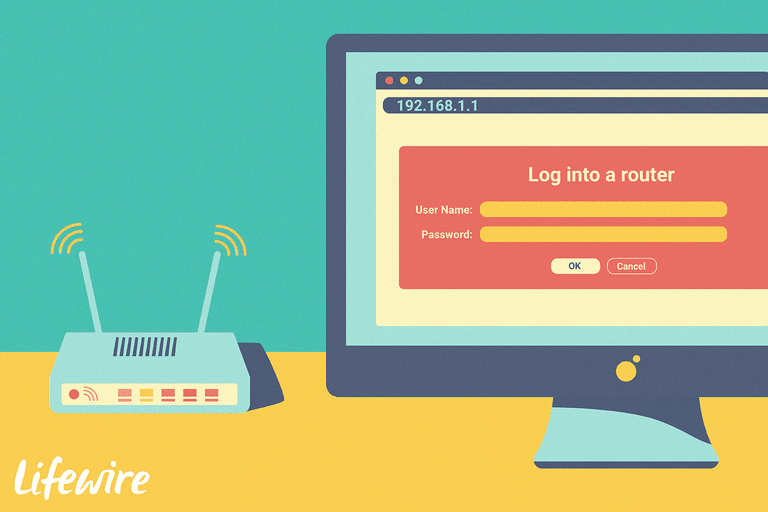 You can store your router's username and password in a free password manager to avoid forgetting it in the future.